Scientists argue that environmental disasters are inevitable and that it is just a matter of when and where they will occur. "Our coasts and oceans routinely experience significant environmental crises," writes Dr. Usha Varanasi, who makes a case for staying ahead of the curve and "frontloading the science." Her 2013 paper in the Washington Journal of Environmental Law & Policy proposes a new model for ecological disaster planning and response, in which baseline ecosystem data and syntheses are collected in advance of possible incidents. Deepwater Horizon oil spill, 2010. Photo courtesy of NOAA. I strongly urge that we must stop thinking about funding good and relevant science “if and when” disasters happen. They are inevitable, and we must ensure that robust scientific inquiry is conducted and supported between disasters when there are opportunities to expand our scientific and technological capacity thoughtfully and strategically. It is imperative that we become better prepared before the next “big one” hits us, rather than scrambling to reinvent the wheel. In short, it is crucial to be ahead of the curve (i.e., frontload the science) and look for novel approaches to fund science if traditional approaches are insufficient. The premise “frontloading of science” used in this paper pertains to empirical research and/or synthesis of existing scientific information needed to address management of ecosystems and species under duress. However, I should emphasize that the “discovery science,” which by its very nature is at the frontier of knowledge, is critical to provide us with a fundamental basis for our understanding of a species and ecosystem interactions. In this article, I will discuss how the lack of upfront funding and planning, coupled with lack of appreciation of the inherent nature of science, contributes to the declining trend in America’s ability to use science to assess future threats—especially in complex political and legal climates that impose short deadlines and focus on reacting to immediate crises demanding attention. I propose that the frontloading of science—the accumulation of holistic scientific understanding and data ahead of time—is crucial as a means to anticipate environmental change and to improve planning and public policy. Long-term monitoring and evaluation of effectiveness are necessary to ensure that the application of science has the intended effects, and to allow for the generation of valuable data. I will also describe two case studies that illustrate the benefit of such frontloading. Varanasi, Usha (2013), Making Science Useful in Complex Political and Legal Arenas: A Case for Frontloading Science in Anticipation of Environmental Changes to Support Natural Resource Laws and Policies, Washington Journal of Environmental Law & Policy, Vol. 3, Number 2. 1. Campbell Robertson and Clifford Krauss, Gulf Spill is the Largest of Its Kind, Scientists Say, N.Y. TIMES, Aug. 2, 2010, http://www.nytimes.com/2010/08/03/ us/03spill.html; see also Jane Lubchenco et al, Science in support of the Deepwater Horizon response, 109 PROC. NATL. ACAD. SCI. 20222-20228 (2012); CARL SEFINA, A SEA IN FLAMES: THE DEEPWATER HORIZON OIL BLOWOUT (2011); Marcia K. McNutt et al., Application of Science and Engineering to Quantify and Control the Deepwater Horizon Oil Spill, 109 PROC. NATL. ACAD. SCI. 20212 (2012). 2. Robertson, supra note 1; Lubchenco et al., supra note 1. 3. Robertson, supra note 1; Lubchenco et al., supra note 1. 4. NAT’ L COMMISSION ON THE BP DEEPWATER HORIZON OIL SPILL & OFFSHORE DRILLING, REPORT TO THE PRESIDENT, DEEP WATER: THE GULF OIL DISASTER AND THE FUTURE OF OFFSHORE DRILLING 260–61 (Jan. 11, 2011), available at http://docs.lib.noaa.gov/noaa_documents/NOAA_related_docs/oil_spills/DWH... see also EVALUATING AND COMMUNICATING SUBSISTENCE SEAFOOD SAFETY IN A CROSS-CULTURAL CONTEXT: LESSONS LEARNED FROM THE EXXON VALDEZ OIL SPILL 338 (L. Jay Field et al. eds., Society of Environmental Toxicology and Chemistry) (1999); AMERICAN FISHERIES SOCIETY SYMPOSIUM 18, PROCEEDINGS OF THE EXXON VALDEZ OIL SPILL SYMPOSIUM 463 (Stanley D. Rice et al. eds., 1996); Usha Varanasi, Frontloading the Science in Anticipation of Environmental Disasters, 37 FISHERIES 233 (2012). 5. Tom Hom et.al., Assessing Seafood Safety in the Aftermath of Hurricane Katrina, AMERICAN FISHERIES SOCIETY SYMPOSIUM 64, MITIGATING THE IMPACTS OF NATURAL HAZARDS ON FISHERY ECOSYSTEMS 73 (Katherine D. McLaughlin ed., 2008). 6. 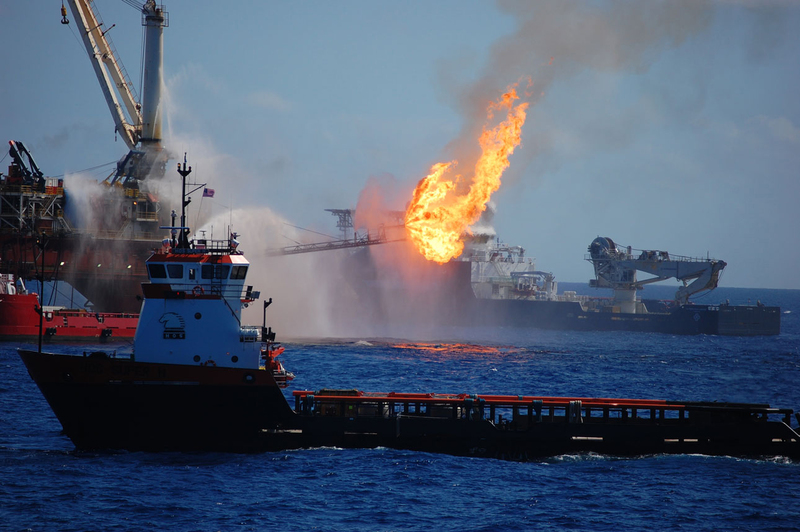 Deepwater Horizon: Updating OPA, THE ENVTL. FORUM, September/October 2010, at 46; see also Rebecca M. Bratspies, A Regulatory Wake-Up Call: Lessons from BP’s Deepwater Horizon Disaster, 5 GOLDEN GATE U. ENVTL. L.J. 7, 28 (2011). 7. Nat’l Commission on the BP Deepwater Horizon Oil Spill & Offshore Drilling, supra note 4; Field et al., supra note 4. 8. Nat’l Commission on the BP Deepwater Horizon Oil Spill & Offshore Drilling, supra note 4; Varanasi, supra note 4. 9. Varanasi, supra note 4; Deepwater Horizon: Updating OPA, supra note 6; Bratspies, supra note 6. Dr. Usha Varanasi is Affiliate Professor, School of Aquatic & Fisheries Sciences and Department of Chemistry, University of Washington; Distinguished Scholar in Residence, Center for Urban Waters and College of the Environment, University of Washington.